It’s not a bird, nor a plane. But Uber’s new prototype vehicle unveiled Tuesday shows off its vision of the future of transportation—a “flying taxi” that aims to alleviate urban congestion. 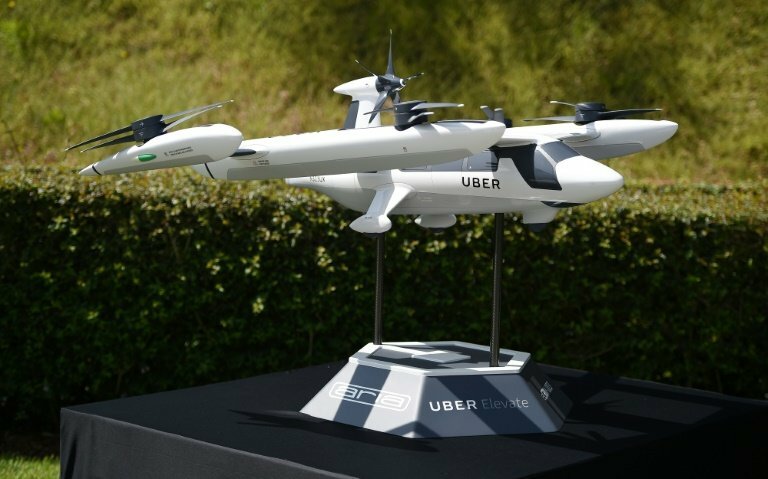 A model of Uber’s electric vertical take-off and landing vehicle concept (eVTOL)—a cross between a helicopter and a drone—was displayed at the second annual Uber Elevate Summit in Los Angeles. “Our goal is to radically improve global mobility,” said Uber Aviation product chief Nikhil Goel. Goel said the all-electric flyer can achieve speeds over 300 kilometers (200 miles) an hour with a range of 100 kilometers (60 miles) on a battery charge. “We fly a lot so we can prove to the FAA (Federal Aviation Administration) and the public that these aircraft are safe,” he said. Uber has become a global force in transportation with its ridesharing service, but is also working on autonomous vehicles and other forms of transport. Uber plans the first demonstration flights for Los Angeles in 2020 and commercialization of the flying taxis in 2023, saying these could be ordered on demand just like a ridesharing vehicle. Eric Allison, who heads Uber’s Aviation programs, said the flying vehicles are part of an overall strategy allowing people to do without personal cars. “The rational choice for transportation will be less and less to own and drive a car,” Allison said. The first flying taxis will be designed with a pilot, according to Allision, but over time can be developed as autonomous vehicles. The concept includes “skyports” that would serve as hubs for the aerotaxis. Several other companies along with Uber are trying to develop similar kinds of aerial devices.